UPDATE: That was quick! 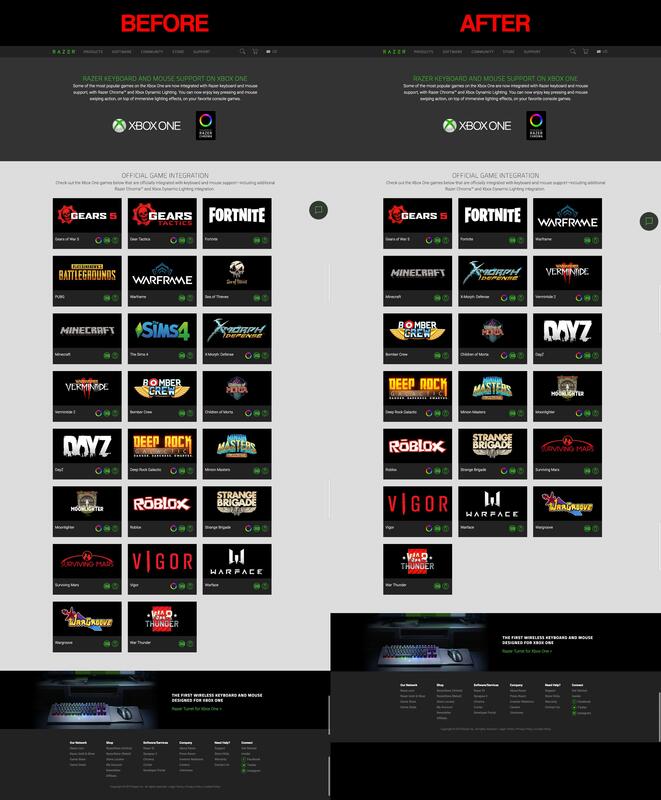 Razer has now removed Sea of Thieves (and quite a few other games) from their page. Big Brother is watching! Click to see the original page vs the update. It’s probably very safe to assume support is indeed coming for the now-removed games, although they’re obviously not ready to announce yet. UPDATE 2: Unrelated to the Razer snafu, Executive Producer Joe Neate confirmed on today’s live-stream that mouse and keyboard for console “is on our roadmap”. UPDATE 3 (March 14): Mouse and Keyboard for console is slated for release into the game on March 20th, 2019. In September 2018 Microsoft announced that (long rumoured) mouse and keyboard support is coming to Xbox. With Sea of Thieves being one of the more popular games with PC/Console cross play on Xbox services, the community figured it was only a matter of time until support would come to the game. Over time there’s been some (vaguely contentious) ongoing discussion around PC vs Xbox play, specifically focussing on the limitations Xbox players have with regards to keybindings, aim, and turning speed – although deeper settings customisations have helped somewhat. Earlier today eagle-eyed Reddit user u/asax92 spotted unofficial confirmation that Sea of Thieves will indeed be receiving keyboard and mouse support on console, via a promo page on Razer’s site (Razer have partnered with Microsoft to create a custom mouse/keyboard for console). It’s great news for console players who are willing to take an extra step to level the playing field somewhat. Certainly it would be a welcome addition for the launch of The Arena. We’ll update this post once Rare has officially confirmed support.